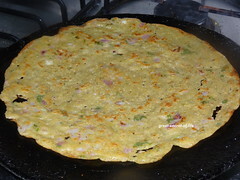 Now days millet based dishes have become norm at our household. 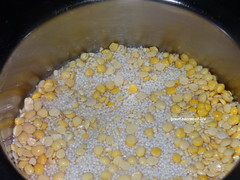 Kodo Millet works so well in almost all Indian dishes. I find that Kodo millet works better than other millets in most dishes. 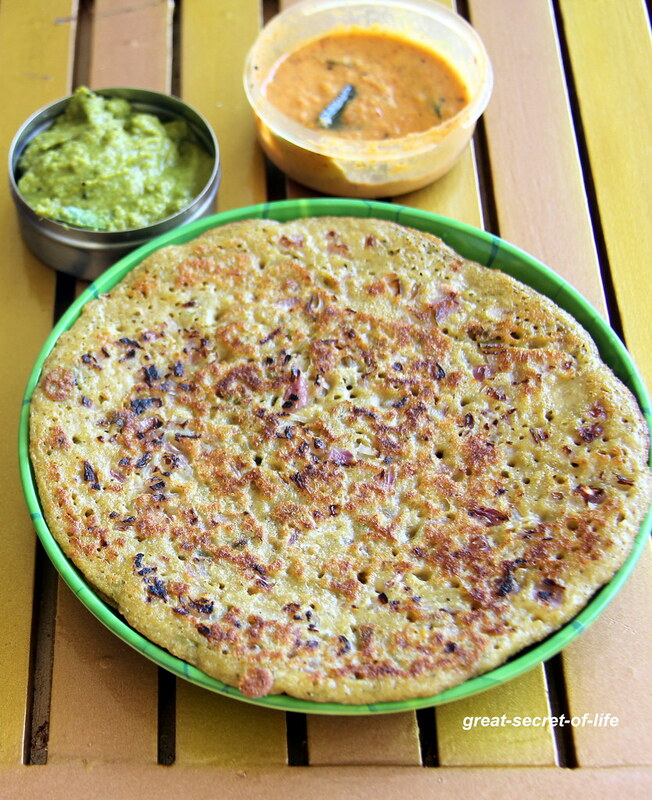 Adai is one of my favourite and is also a protein rich Indian vegan dish. Well I would say at my home at least. 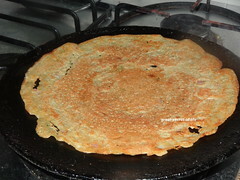 I know my in laws will have Adai with fresh homemade butter and my father has it with jaggery. For me just by it self is good enough even though with Avial/Aviyal I can take extra adai. Wash and soak rice, dhals together for 4-6 hours. 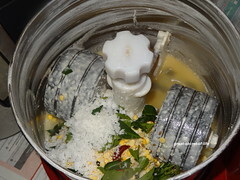 Grind it to coarse paste with all other ingredients except onion and coriander leaves. 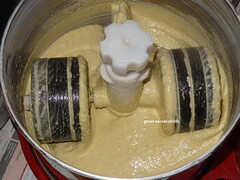 Heat the flat pan and when it is hot add a ladle full of batter and spread it. Sprinkle oil around it. Let it cook and turn it over and cook again. looks crispy & yummy!! healthy too.. 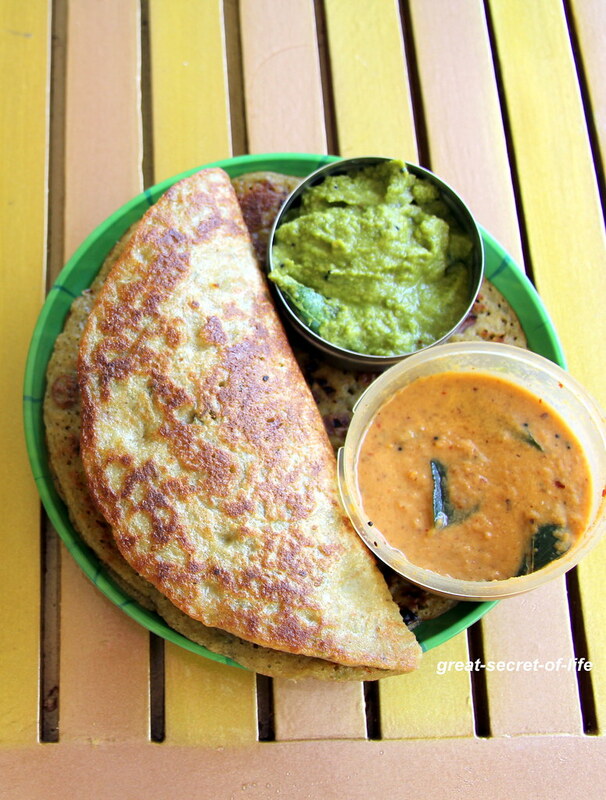 Healthy and delicious adai, looks so tempting..
Love this healthy version of dosa. 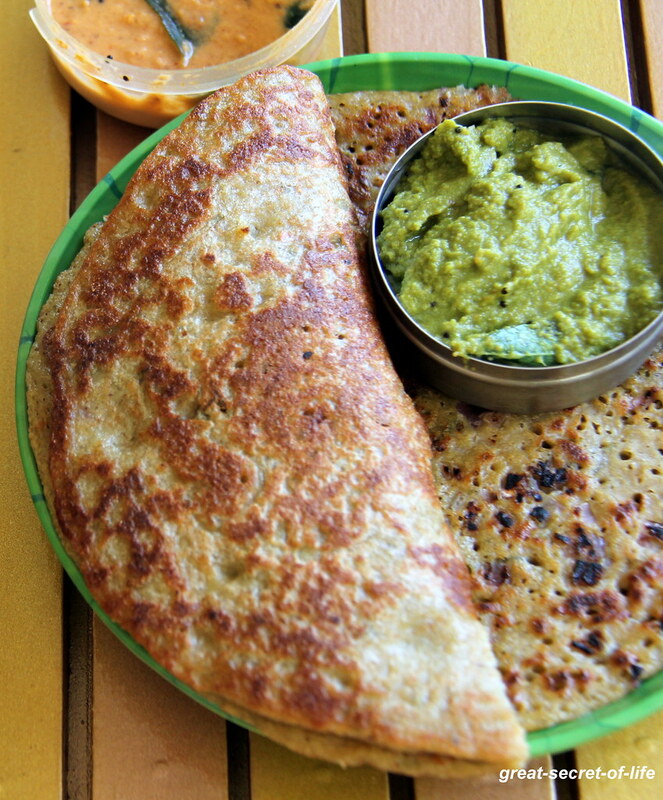 Looks so yummy Veena love adai aviyal combination.